Water plant. 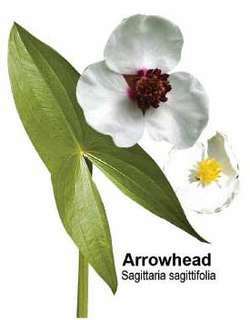 Arrowhead-shaped leaves. White rounded flowers with 3 petals. Roots can be eaten like potatoes, used for indigestion. Leaf tea used for rheumatism.